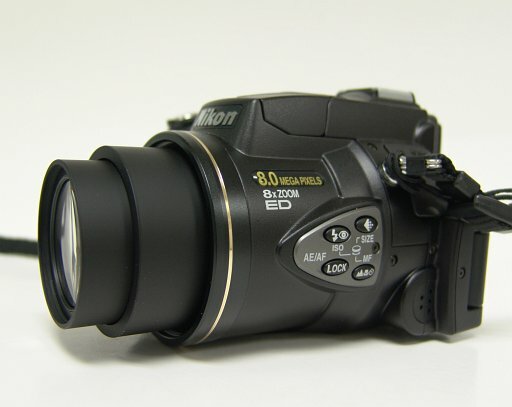 Nikon Expects to ship the CoolPix 8700 Begining in March 2004. By placing your Nikon CoolPix 8700 Digital Camera order today at RitzCamera.com, you can firmly establish your place in line for this exciting new product. Our orders are always filled in the order that they are placed, and your credit card will not be charged until your order has shipped. Order today and be the first to get this exciting new item! Plus, No Sales Tax and Free Ground Shipping on orders over $100! PRE-ORDER NOW FROM RITZ ONLINE! The new Nikon Coolpix 8700 is a 2/3 inch 8 megapixel CCD digital camera featuring an 8X optical Nikkor ED glass zoom lens (retractable style f/2.8 - f/4 upto f/8 range 14 elements, 10 groups) with coverage from 35mm to 280mm, full manual exposure and focus controls, a relatively small & lightweight 17 ounce Magnesium Alloy body, 12 scene modes, RAW image recording, and new for Nikon a 640 by 480 Quicktime movie mode at 30fps with audio (upto 35 second clips)! Other features include a 1.2 inch Macro Mode, continuous shooting at 2.5 frames per second, a high resolution 235,000 dot, .44 inch Electronic Viewfinder, an advanced rotating multi-angled 1.8 inch, 134,000 dot TFT LCD Monitor, one button 'Quick Review', a very Quick Camera Operational Response, 5 area multi-focus, a pop-up built-in Speedlight, as well as a time-lapse movie mode, a hot-shoe for external speed lights, and a 5 shot buffer mode. The Coolpix 8700 will sell at a MSRP of $999. We have a Coolpix 8700 in for reveiw already and have links below to our early First Look, with lots more coming as we just got the camera in a few days ago. 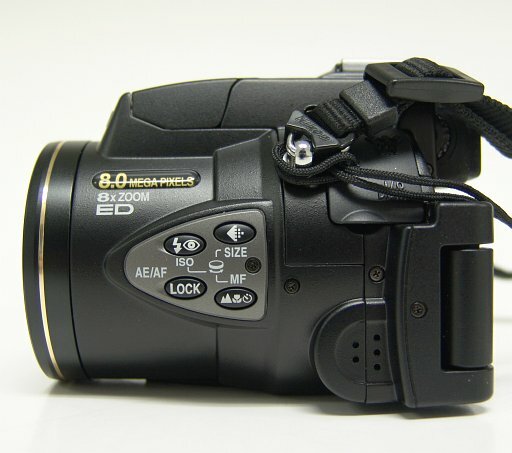 The Coolpix 8700 has other high end features such as an Auto-Focus assist illuminator built into the speedlight which function while the light is popped up, a self-timer function with a visible self-timer light on the front, a Diopter adjustment for the EVF Viewfinder, and a built-in microphone in front for audio recording during movies or voice memos attached to images, with a built-in speaker on the side for playback. Included in the box as supplied accessories is a Lens Cap & Lens Cap String, Neck Strap, USB Cable, Audio/Video Cable, Rechargeable Li-ion EN-EL1 battery, Battery Charger MH-53 and detachable power cord, Nikon View CD-ROM including Drivers and Arcsoft software suite, Nikon View Reference Quick Start Guide, Camera Instructional Manual and Documentation such as the Charger Instructions, Warranty Card and Registration Card. 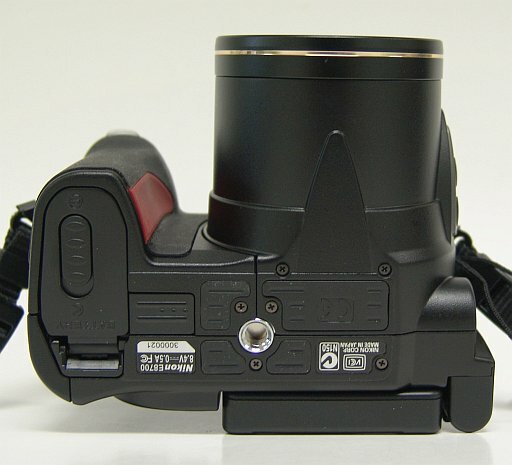 There is also an accessory hot shoe cover in place over the hot shoe contacts and a terminal cover for the EN-EL1 rechargeable battery. 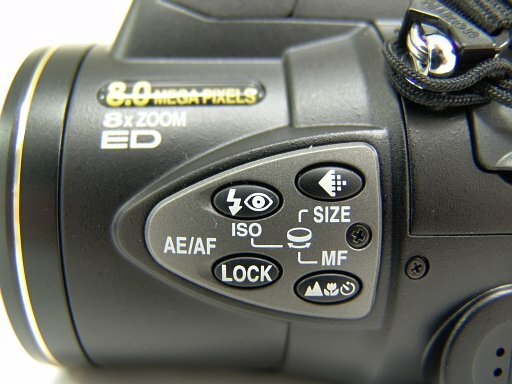 The camera uses Compact Flash Memory, either type 1 or Type II, however NO memory card is included in the box! The 12 scene modes are Portrait, Party/Indoor, Night Portrait, Beach/Snow, Landscape, Sunset, Night Landscape, Fireworks show, Close-up, Copy, Back Light and Panorama assist. The camera uses an automatic dark-frame subtraction method of noise reduction during slow shutter speed shots below 1/4 of a second which can be turned on or turned off for no noise reduction at any speed. The camera has Nikon's helpful 3 mode Best Shot Selection (Highlight, Shadow and Histogram Priority), which helps reduce the need for Image Stabilization as it picks the sharpest image from a set of up to 10 shots. There are 3 jpeg qualities, FINE at 1:4 ratio compression, NORM at 1:8 compression and BASIC at 1:16 compression along with TIFF and RAW non-compressed image capture. Image size capture is at 8 megapixels, 5 megapixels, 3 megapixels, 2 megapixels, PC (1024 by 768) and VGA (640 by 480) all in a 4:3 aspect ratio similar to most PC Monitors, with an option to select a 3:2 aspect ratio which is the same as 35mm film. RAW images and TIFF files can only be recorded in the full 8 megapixel file size, and for RAW the file sizes are 12MB each, with TIFF at 23MB. The flash range at widest angle is about 13.5 feet. Exposure Compensation can be set between +2 and -2 at 1/3 EV increments except while in full Manual Mode where it is disabled on purpose. Shutter speeds of 1/4000 of a second are possible in Aperture Priority Mode, and up to 1/8000 of a second in the Ultra HS Mode. ISO speeds are 50, 100, 200 and 400 as well as having an Auto ISO mode. Manual Focus is possible with a range of settings from 1 inch to infinity. Image sharpening can be set to Auto, High, Normal, Low or Off. Contrast can be adjusted to Auto, Normal, More, or Less Contrast. Saturation can be set to +2 called Maximum, +1 which is called Enhanced, +/- 0 which is called Normal, -1 which is called Moderate, -2 which is called Minimum, or to Black & White. The time-lapse movie mode is described as working by taking still pictures at 640 by 480 at designated intervals (30 seconds, 1 min., 5 min., 10 min., 30 min. and 60 min.) up to 1050 frames, which will play back at VGA size with no audio and at 30fps. 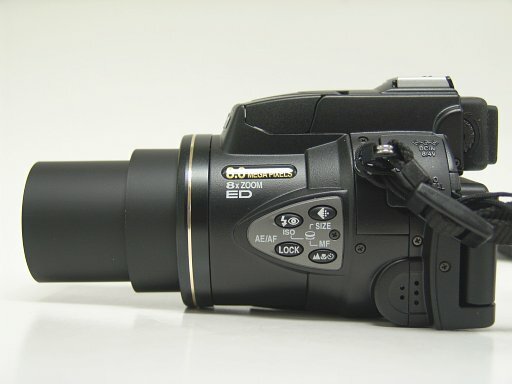 There is also a 320 by 240 movie mode at 15 fps and a Sepia mode which records movies at 5 frames per second in Sepia at 320 by 240, both modes up to 180 seconds. There are 6 pre-set white balance settings with fine-tune control, Auto White Balance and White Balance Pre-Set using a white object to measure under existing lighting. Playback features include a 6X Zoom Review, and there are 5 screens of data or EXIF information explaining all of the settings for each image. 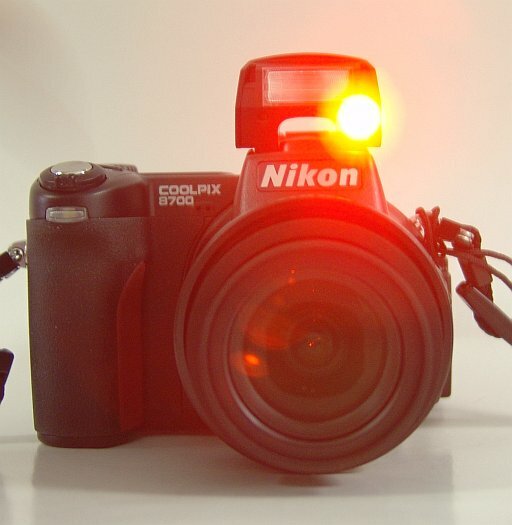 The Coolpix 8700 is Pictbridge compatible. MELVILLE, NY, January 28, 2004 - Nikon has taken the lead in the popular and powerful "prosumer" camera category with its new Coolpix 8700 digital camera (www.nikoncoolpix.com). This remarkable new product combines 8.0-megapixel resolution with an 8x Optical Zoom-Nikkor ED lens (35-280 mm, *35mm equivalent) and legendary Nikon quality and design to bring experienced digital photographers the most versatile and capable compact digital camera available today. The Nikon Coolpix 8700's impressive performance and stunning images will quickly establish it as the new flagship for high-end consumer compact digital cameras. "Today's high-end digital consumer is much more experienced, better informed and starving for the best in design, quality and overall performance. The Nikon Coolpix 8700 addresses consumers head-on with the combination of 8-megapixel resolution and the most powerful optical zoom lens in the category," said Jerry Grossman, vice president, Marketing, Consumer Digital Products ay Nikon Inc. "With this important new product, Nikon has clearly assembled the most aggressive display of cutting edge technology, extensive features and sheer photographic power in the compact consumer market to date." Nikon Coolpix 8700 - "The-Power-Of-8-ography"
The Nikon Coolpix 8700 is the perfect camera for serious photographers who demand the highest level of quality and control from their compact digital camera. The camera incorporates an 8.0 effective megapixel CCD, which produces image sizes of up to 3,264 x 2,448-pixels for prints larger than 20x30-inches. For those who print their images at home, the Nikon Coolpix 8700 supports PictBridge technology to enable direct printing to compatible photo printers, regardless of brand. The camera also employs an 8x Optical Zoom-Nikkor lens, with Nikon's own Extra-low Dispersion (ED) glass, designed to get the photographer close to the subject without sacrificing image quality, color representation or sharpness. Serious digital photographers demand a great deal from their equipment. 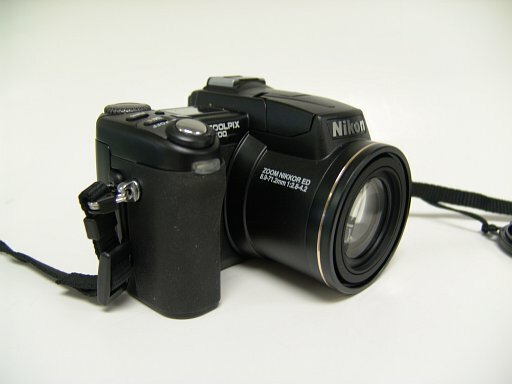 The Nikon Coolpix 8700 is well prepared to withstand the wear and tear that comes with frequent use. The camera is constructed with a compact, lightweight magnesium (Mg) alloy body that has been designed for durability and portability, with a secure, comfortable grip for stability during shooting. Nikon has employed the highest resolution (238,000 pixel) electronic viewfinder (EVF) for extremely sharp, through-the-lens viewing. In addition, users can use the large 1.8" vari-angle LCD panel as well to review shots on the go. The Nikon Coolpix 8700 digital camera incorporates four exposure modes to give the photographer ultimate creative control over their image capture. 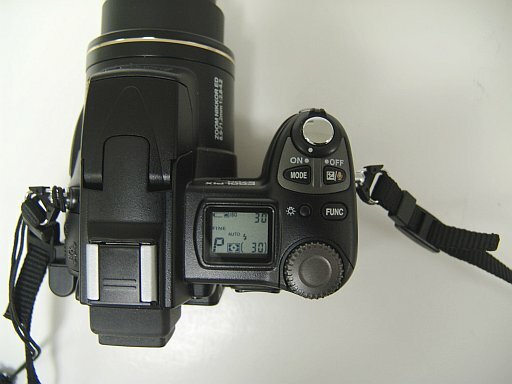 These modes include Programmed Auto [P], Shutter-Priority Auto [S], Aperture-Priority Auto [A] and Manual [M]. 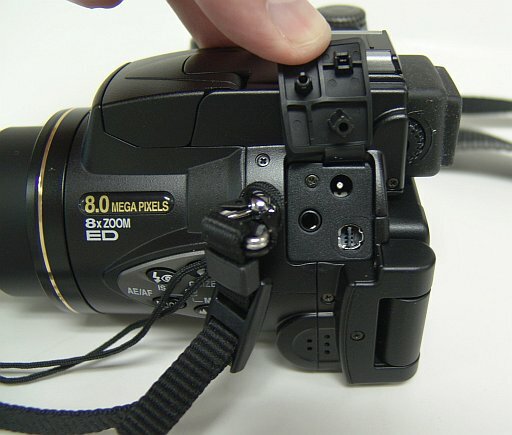 The camera also offers an automatic mode, which makes the Coolpix 8700 an ideal tool in situations where operation needs to be 'point-and-shoot simple.' For added convenience, the camera now incorporates 12 preset Scene Modes taken from the existing line of award-winning Coolpix digital cameras. Scene Modes allow for striking images in practically any shooting situation. Simply select the mode appropriate to the lighting conditions, and the camera will automatically adjust focus, flash, contrast, sensitivity and white balance. 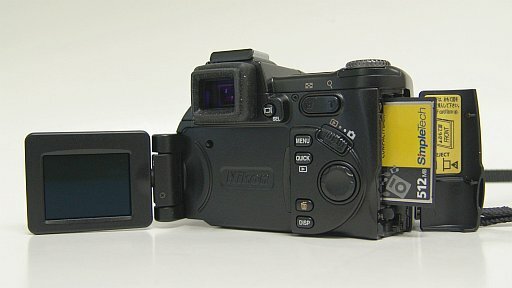 The camera has ability to capture images in RAW recording mode (NEF format) for maximum image control and manipulation after the picture is taken using Nikon Capture software. No matter the type or size of a camera, great pictures begin with great lenses. More professionals choose Nikkor lenses than all other brands combined. 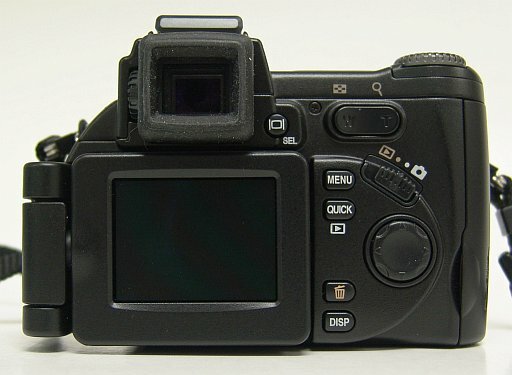 That very same quality is built into the Nikkor lens of every Nikon Coolpix digital camera, including the Nikon Coolpix 8700. 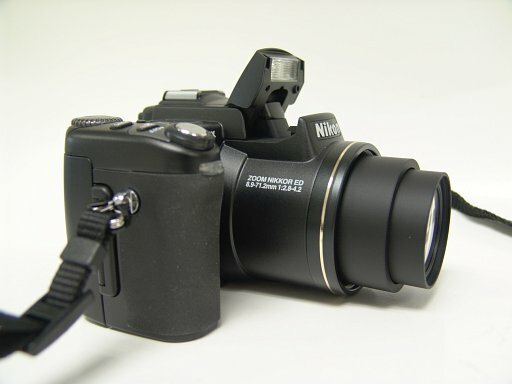 The Nikon Coolpix 8700 has a zoom range of 35-280 mm (35mm equivalent). 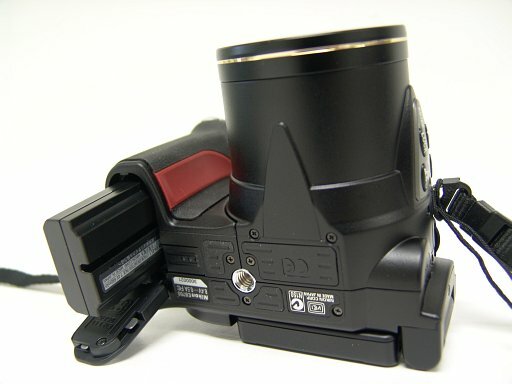 The lens incorporates two ED lens elements to produce clear, sharp, colorful images. In addition, an Optical Low-Pass Filter is optimized, which helps the new high-definition CCD image sensor to make the most out of the camera's already outstanding optical performance. The result is remarkably clear, natural images with superior detail and contrast. a figure that is unparalleled throughout the rest of the photo industry. § 8x optical Zoom-Nikkor ED lens with a zoom ratio of 35-280 mm (equivalent to 35mm-280mm in 35mm  format). Nikon Coolpix digital cameras incorporate the powerful NikonView 6 photo management software to transfer, browse, edit, save and print photos. NikonView offers the exclusive One-Touch Red-Eye Fix software, extensive one-button emailing options and an option to create online photo portfolio templates using HTML (Hyper Text Mark-up Language), which can easily be added to any personal Web site or page. Nikon also includes a software suite from ArcSoft&REG; including VideoImpression to edit and share QuickTime movies taken with the camera and Panorama Maker, which takes advantage of the Coolpix 8700's Panorama Assist Mode and seamlessly stitches together multiple horizontal or vertical images to create beautiful panoramic photos. 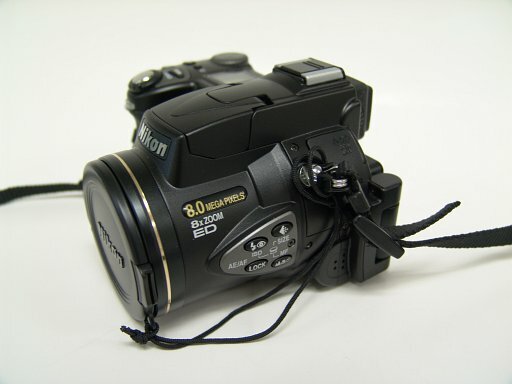 The Nikon Coolpix 8700 provides users with all the equipment they need to begin shooting, which includes NikonView 6 image management software, USB cable, video cable, neck strap, EN-EL1 rechargeable battery and quick charger. Optional accessories include the HN-CP11 Hood for using 77mm filters, as well as the MB-E5700 power and vertical release grip for expanded shooting capability. 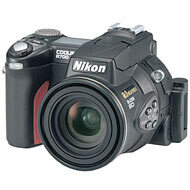 The Nikon Coolpix 8700 will be available at retail in March 2004 at an MSRP of $999.95. For more information about the camera, please visit www.nikoncoolpix.com.